Eating plant based while travelling can sometime be a challenge as you are outside your normal environment. However, with a little thought and planning, it is definitely doable and getting easier each year as veganism becomes more mainstream. We have had many vacations since becoming plant based 8 years ago, and each year it gets easier to figure out the food. We just returned from an epic plant based vacation. There was eating while on the road, eating on a vegan cruise, eating in tourist venues, and using VegVisits, a relatively new airbnb for vegans. If a cruise is on your bucket list, this one is for you. 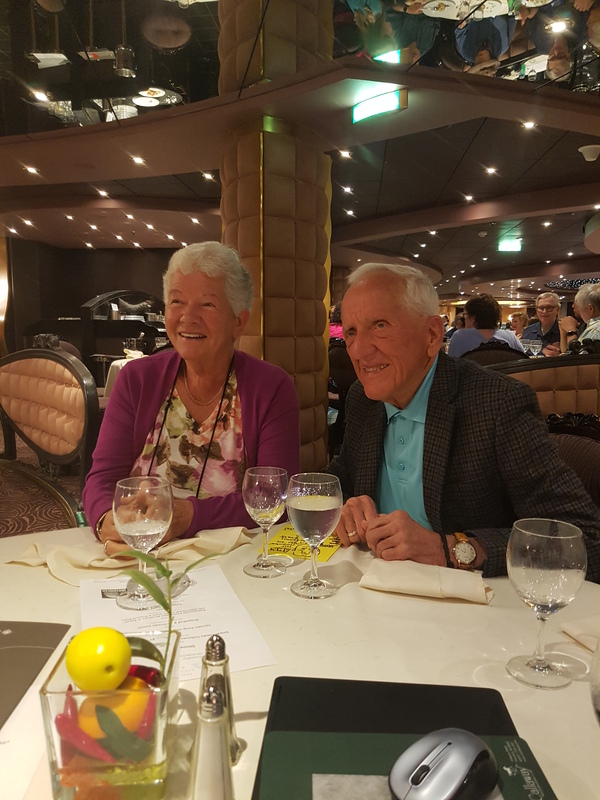 We have done a few cruises before, and always found the food to be no issue. The staff go out of their way to accommodate meal restrictions. While most cruise lines will not guarantee ‘vegan’ food (due to cross contamination issues), plant based is less of a problem. However, a vegan cruise is a whole other ball game. 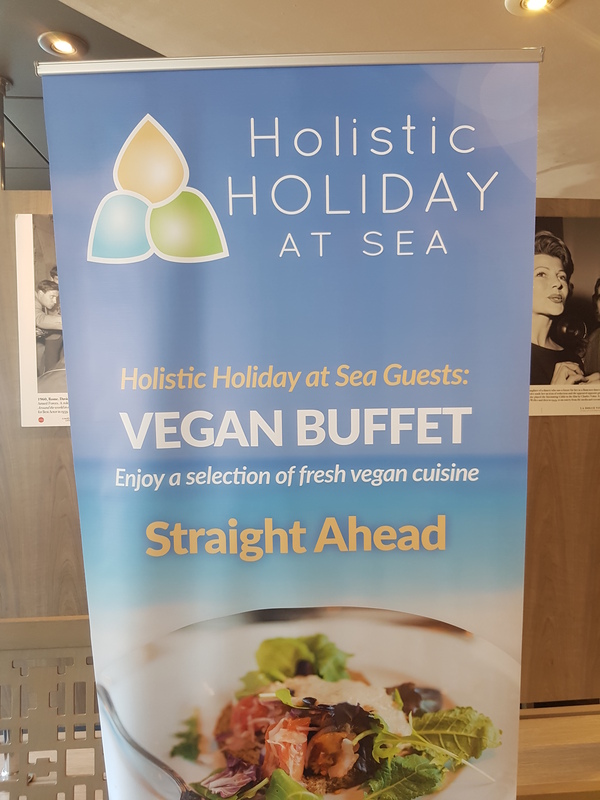 This vegan cruise occurs annually, and is organized by Holistic Holidays at Sea. This year, the cruise was 11 days and half the passengers on the boat, just over 2,000, were vegan. 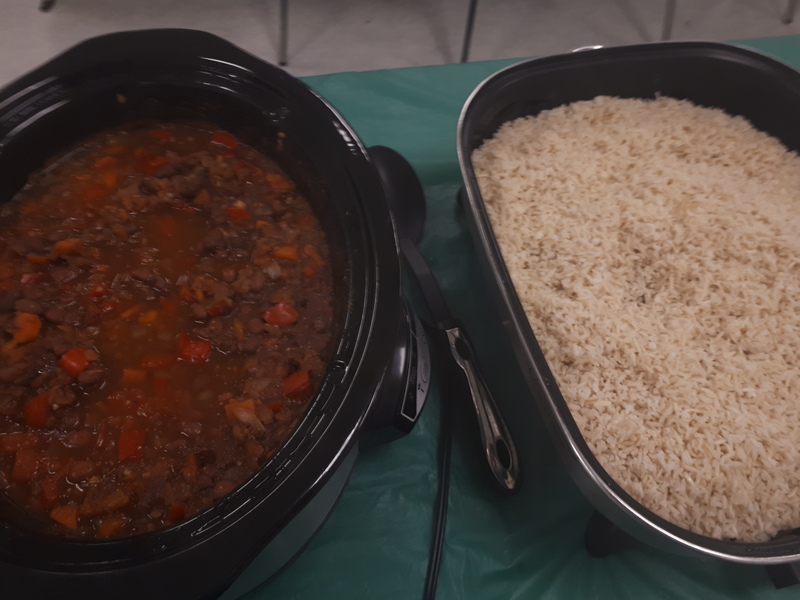 Consequently, one of the dinner sittings (the 6:00 sitting) was vegan, and half the buffet at breakfast and lunch were vegan. It was amazing to see all the choices available. In addition, the dinner menu always had an oil free option (gluten free as well) and many of the buffet dishes were also oil free. Buffet Lunch including a pudding and thumbprint cookie for dessert. Oil free and whole food is not something I am strict on while on vacation, just because it adds an additional layer of difficulty in procuring food. We avoid oil and refined foods, but don’t get bent out of shape if we can’t escape it completely. 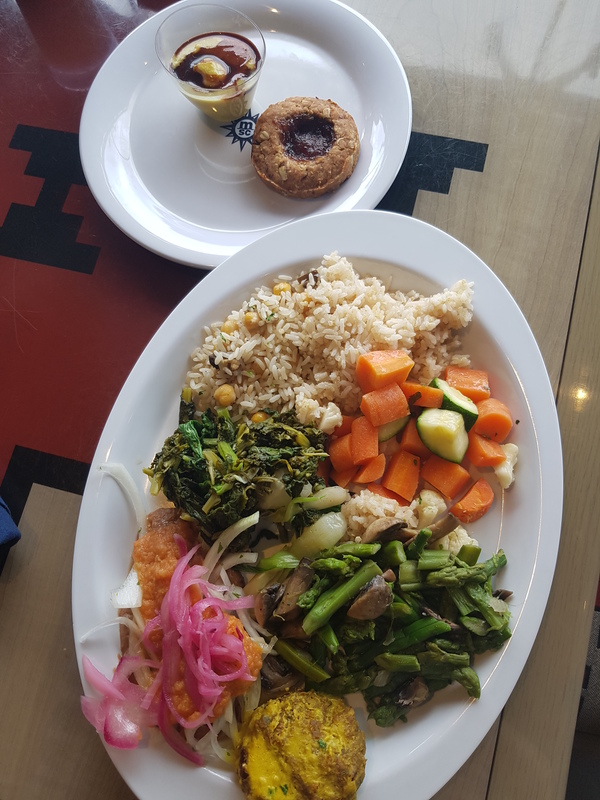 It was a welcome treat to not only have our meals be plant based, but whole food, oil free as well. It was a dream for me to have meals with brown rice, beans and whole grain pastas. If the meals are not enough to convince you, consider the company. I seldom meet another vegan let alone sit with 6 different ones every evening. The company of like minded people cannot be underestimated. 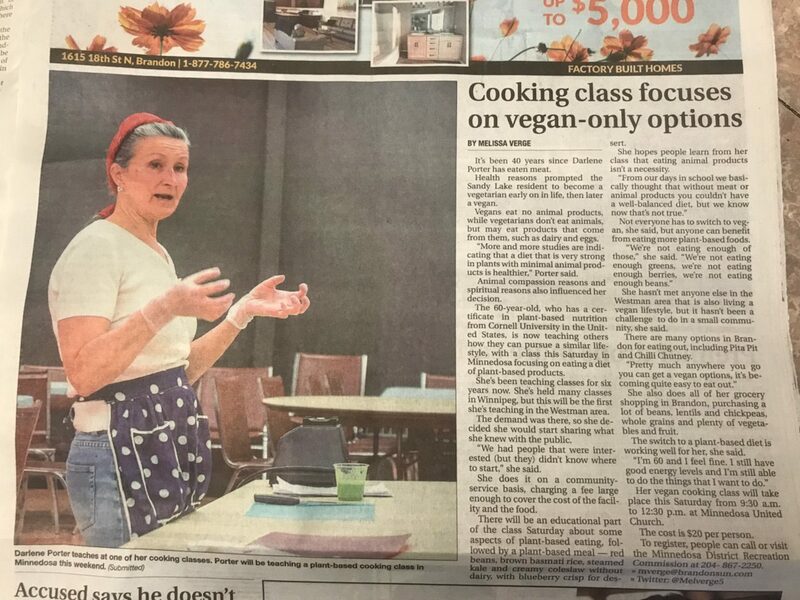 However, the reason I chose to do the cruise was not the great ports of call, the food or the company of 2,000 other vegans, it was the celebrity speaker/workshop lineup. Real life celebrities the like of Dr. T Colin Campbell (The China Study, Forks Over Knives), Dr. Caldwell Esselstyn (Prevent and Reverse Heart Disease, Forks Over Knives), Dr. Klapper (True North Health Center), Brenda Davis, RD (Becoming Vegan), Dr. Neil Barnard (Physicians Committee for Responsible Medicine), Dr. Ron Weis (Ethos Health), and Dr. Will Tuttle (World Peace Diet); plant based chefs like Julieanna Hever, Chef AJ, Kim Campbell, Ann, Jane and Rip Esselstyn; animal rights activists James Aspey, Dr. Jonathon Balcombe, and Dan Mathews as well as numerous other lecturers on yoga, astrology, numerology, meditation and acupuncture. The days were jam packed with lectures and workshops, so many that you practically had to drag me outside for some sunshine. You can read my post on the cruise here. We generally do a long car trip to and from BC a couple of times a year, in order to visit the grandkids. However, the trip to and from Miami was our longest trip to date. We traveled over 9,000 km to Miami Florida. That’s over 90 hours in a car. When traveling, I loath long stops to eat at restaurants – just sitting in a different space. I prefer to stop, walk around, and hit the road again. Consequently, we tend to eat picnic style when travelling, reserving stop times for movement or a picnic in a scenic spot. For a two or three day car trip, I usually pack snacking foods, sandwich items, pre-made overnight oats and frozen green smoothies. However, this trip was different as we were travelling through the US. With food restrictions at the border, I did not want to chance any problems and did not pack food to go. Instead, we stopped at a grocery store once we crossed the border, and stocked up. We purchased hummus, whole grain buns, tomatoes, lettuce,and onion to make sandwiches; and apples, oranges, celery, carrot sticks, peppers and cucumbers for snacking. We sometimes stop at a subway or pita stop, as you can usually get a good veggie packed sub or pita. If our hotel room had a microwave, we would pick up a sweet potato and crown of broccoli to cook up for a fast simple and satisfying dinner of baked sweet potato with hummus and steamed broccoli. I am very simple to please! One of the bonuses of driving to Miami over flying, is that we were able to visit with friends and do a bit of sightseeing. After the cruise we spent one day at Disney’s Epcot Center. I am not a huge Disney fan, but the one thing that stood in my mind from our trip with the kids, in 1993, was an exhibit called The Land at Epcot Center. The exhibit still exists and still features a ride through the greenhouses where they grow much of the food used in The Land’s cafeteria. 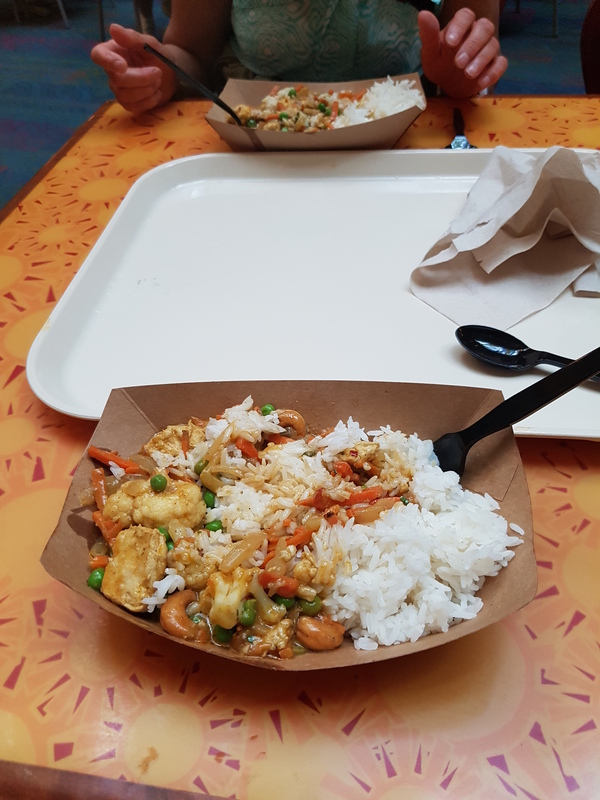 And after searching out most of the eating venues at Epcot, we concluded that the best vegan food is available at The Land. For breakfast I had a delicious overnight oats with almonds and blueberries and Ken had a hot veggie wrap. For dinner, we returned to The Land and enjoyed a really good vegan korma. I was pleased to see the korma served in paper bowls! Not sure on the compostablility of the cutlery. Also, was pleased to see water fountains to refill our water bottle, so we could avoid the dreaded single use bottled water. Elvis’s Graceland, in Memphis, was a whole ‘nother story. However, since we did not plan to eat there, it was no big deal. Apparently Elvis’s favorite was a peanut butter and banana sandwich, fried in bacon grease. Pass. If you will be travelling, you really must consider using VegVisits. VegVisits is like an airbnb for vegans. Right now, membership is free and you can sign up to use the service, or to register as a host. Its relatively new, so there are not a lot of hosts available. We searched the site for each place we would be stopping at and were only able to find one host that fit. We didn’t need a place to stay, but we did need a place to park our car while we were on the cruise. Edna in Miami agreed to let us park at her place for a small fee. As a bonus, when we dropped off the car, she drove us to the docks. Edna’s vegan ceviche topped with tomato and guacamole. When we returned, she picked us up at the dock. On returning to her place, she surprised us with a lovely lunch. It was really most amazing. Delicious, fresh and the presentation of each dish was amazing. The lunch started a fruit salad and continued with vegan ceviche, made with riced cauliflower and lime and served on buttercrunch lettuce leaves. Next were zucchini rolls stuffed with hummus. And finally, we had potato tacos. Delightful corn tortillas, crisped in an air fryer and an assortment of toppings. 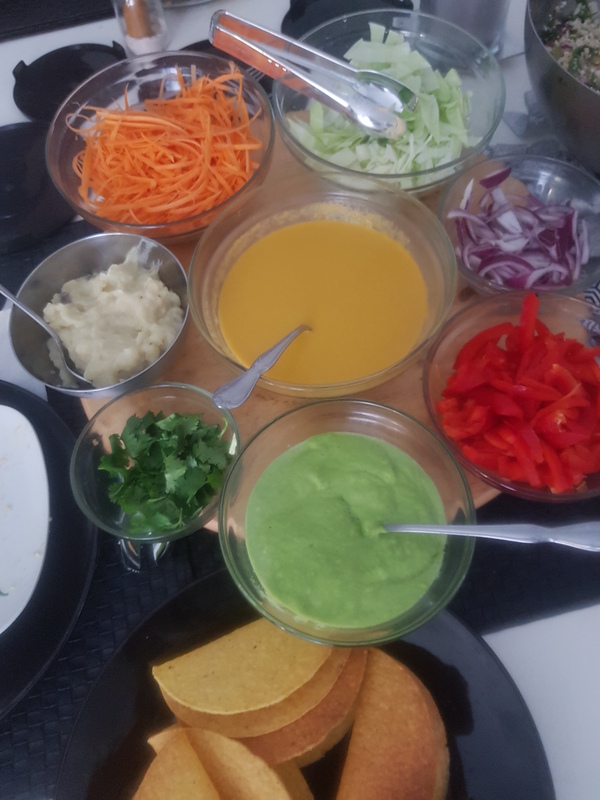 There was a potato and vegan cheese filling, a spicy guacamole, red peppers, fresh green cabbage, julienne carrots, red onion and cilantro. Not to say all Vegvisit hosts will be as accommodating as Edna, but it seems to me that most of us vegans live pretty much in isolation, surrounding by non-vegan friends and family. When we get the pleasure of another vegan’s company we get pretty excited. If you will be travelling, I would suggest trying out Vegvisits. We are even considering listing our home as a host. Food is a big part of travel. And sometime its just wonderful to have a place to whip up a smoothie or mix up a bean salad and have a good conversation. 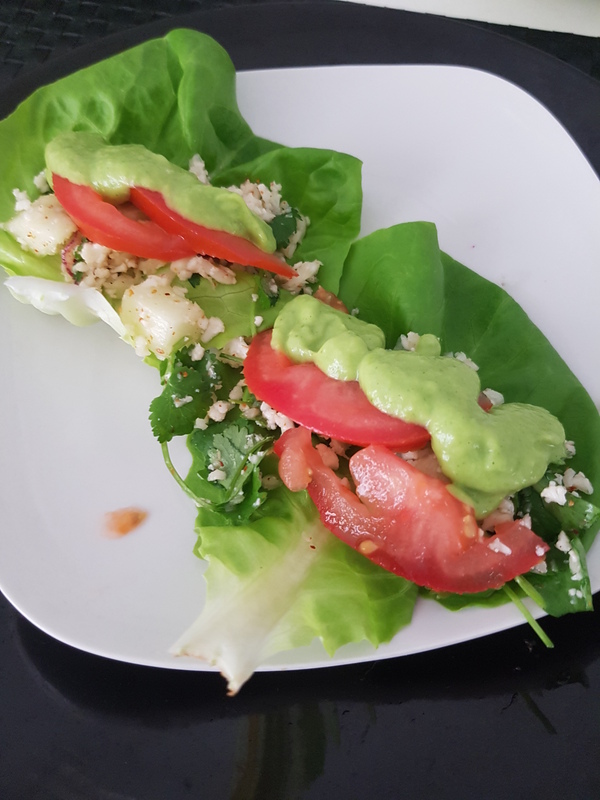 Are you new to plant based eating and looking for a simple recipe that everyone is sure to love? A stir fry is always a great option. 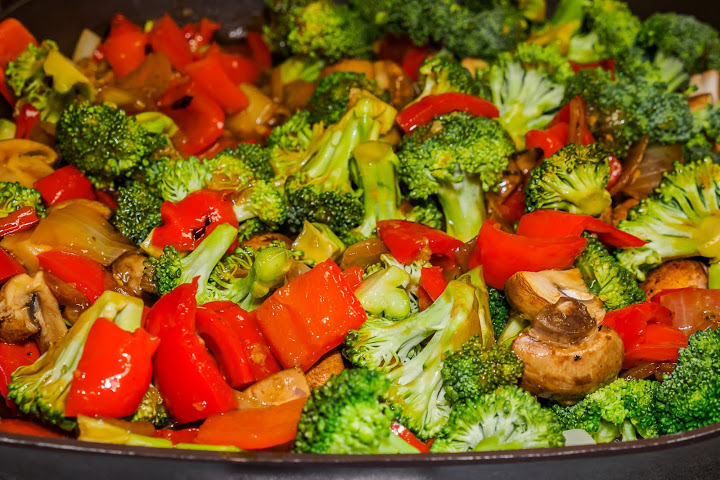 Whip up a tasty blend of colorful veggies, a flavorful sauce and a pot of rice or noodles and you’re done. At the bottom of this post, I’ve compiled some of my favorite stir fry sauces. When you find a couple that you love, make up a double or triple batch and keep them in the fridge for a fast, easy and nutritious meal. Stir fries are super easy to make and should be on everyone’s weekly meal rotation. And stir fries are easily made into Buddha bowls as well. The Buddha bowl is a great option if not everyone likes to eat the same things. 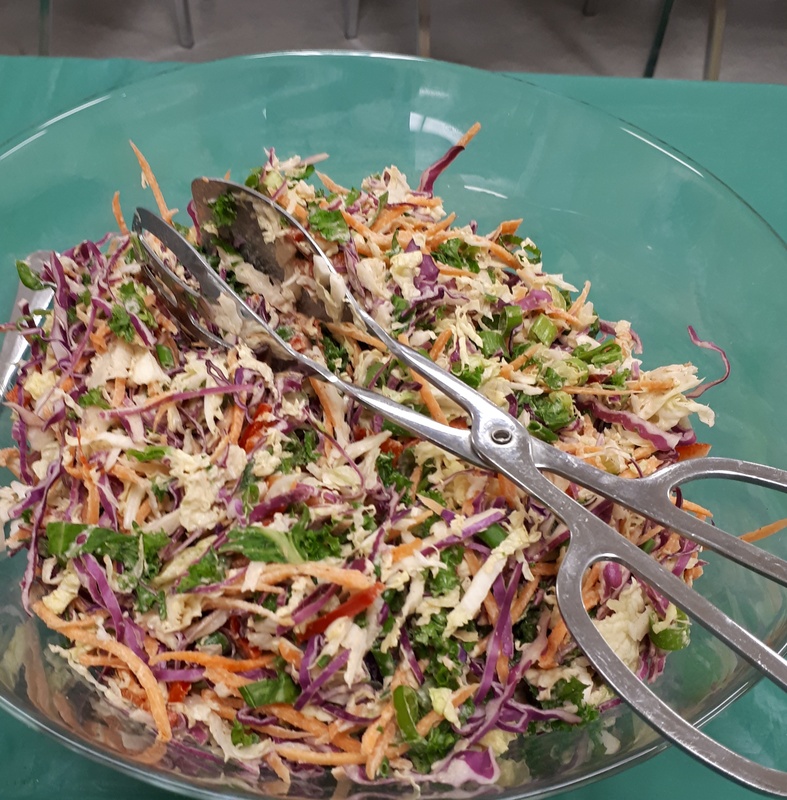 You can saute a basic medley of veggies everyone likes, then add bowls of salad greens, other veggies (raw or cooked) and toppings to choose from. You can even provide a choice of sauces if you are feeling ambitious. Choose your favorite blend of veggies, use up whatever you have in the fridge, or use a frozen veggie mix for a super easy option. 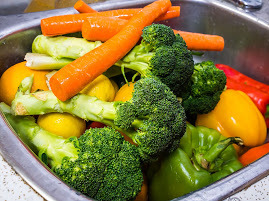 Chop your veggies in your preferred shape and size. For a noodle stir fry, I like to slice the veggies in long thin pieces. For a rice stir fry, I like big square chunks of veggies. 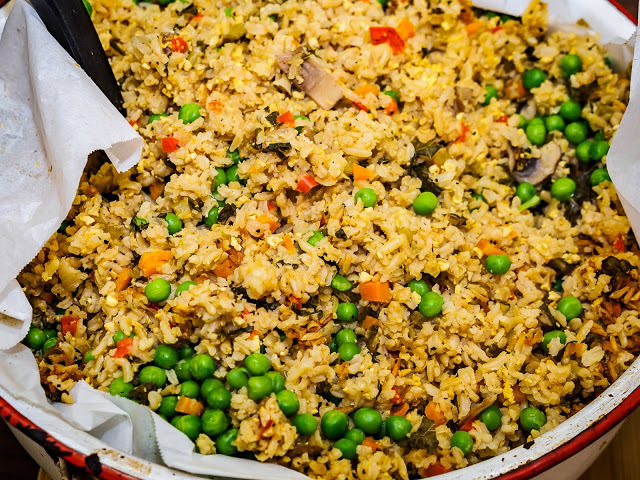 Or chop them smaller if you are going to mix everything together with your rice, like a fried rice dish. Quinoa – a great high protein option that cooks up in about 15 minutes. Choose from white, red, black or brown varieties. Whole Grain Couscous – another super-fast alternative. Just add boiling water to the couscous and let it stand for 5 minutes, fluff and its ready to eat. What could be easier! Noodles or pasta – a great way to use up leftover pasta. Spaghetti, rice noodles, soba noodles, or whole grain pasta all work great. You can toss them into the cooked veggies along with the sauce and heat through. Or make the veggies extra saucy and serve over the pasta. Be sure to choose whole grain noodles. If you don’t like whole wheat noodles, try brown rice noodles. I find even my ‘white pasta’ only grandkids will eat it. Its light enough to pass for white. Get adventurous. Try red, black or short grain rice. Or buckwheat, pot barley, millet or farro for a change. When cooking grains, I like to cook up enough for 2 or 3 meals. If your grains are precooked and you’ve got a sauce in the fridge, you will have supper on the table faster than it takes to order a pizza. (For pasta, cook, drain water and run under cold water to remove excess starch and the noodles won’t stick together when stored. That way you don’t need to coat them in oil) Rice also freezes well, so if you have leftover that you don’t think you will eat up within the week, throw it in the freezer for a later date. Chickpeas or beans – I recently added black and pinto beans into my Spicy Peanut Thai Stir Fry and it was fabulous. Tofu – sliced firm tofu will work in a stir fry, but its better to add it to the veggies before adding the sauce so it has a chance to soak up some flavor. A better bet is a marinated tofu (see my favorite recipe here) When marinating tofu I like to do up a big batch and freeze the leftovers for stir fries. You can also buy smoked tofu which is tasty just as it is and works great as a topping on stir fries or Buddha Bowls. Soy Curls (See Butler Soy Curls) are made from whole soy beans and work great in stir fries. (A lot of recipes recommend soaking in flavored broths, then frying with spices. I don’t bother if I am serving them with a sauce. Soak in water, squeeze out excess water and let the flavor of the sauce soak into them.) I get mine from Vegan Supply in Vancouver but you might be able to find them at your local health food store. Green onions, fresh parsley, chopped fresh salad greens, tomato, avocado – use your imagination. Mix all ingredients together in a small saucepan and bring to a boil. Simmer 5 minutes. Remove from heat and store in a glass jar in the fridge. Combine all ingredients in a small saucepan and cook over medium heat until thickened. Store in fridge in a glass container. This is a great all-purpose stir fry sauce. Combine all ingredients. 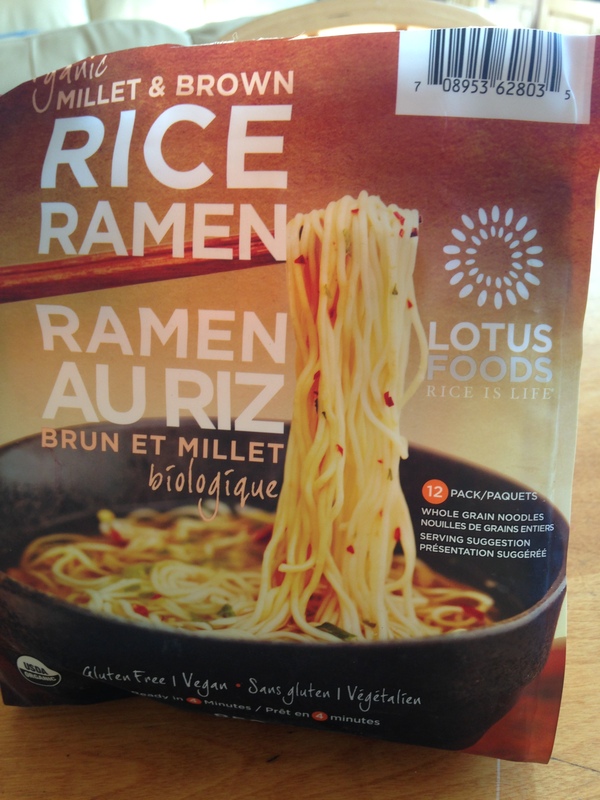 This is great with onion, garlic, carrot, broccoli & snow peas served over noodles. Whisk all ingredients together in a small saucepan until arrowroot or corn starch is completely dissolved. Bring to a boil and simmer until thickened. Remove from heat and store leftovers in the fridge in a glass jar. This one is great in a stir fry with added pineapple chunks. Mix all ingredients except the hot stuff. Add your choice of heat. Store in the fridge in a glass jar. Mix sauce ingredients together in a blender. Store leftovers in a glass jar in the fridge. I like this one with sauted carrot, red pepper, onion, cabbage, bean sprouts and broccoli. Serve over brown rice noodles and top with peanuts. I fell in love with this recipe the first time my friend Navi made it for me. Careful, it packs a punch. If you’re not a big fan of the spicy, cut the chili garlic sauce down to a teaspoon or 2. Mix all ingredients in a small saucepan and heat until mixture begins to boil. Stir until thickened. Remove from heat and store leftovers in a glass jar in the fridge. I love this one with sautéed big chunks of onion, red pepper, mushroom, snow peas or broccoli and soy curls. 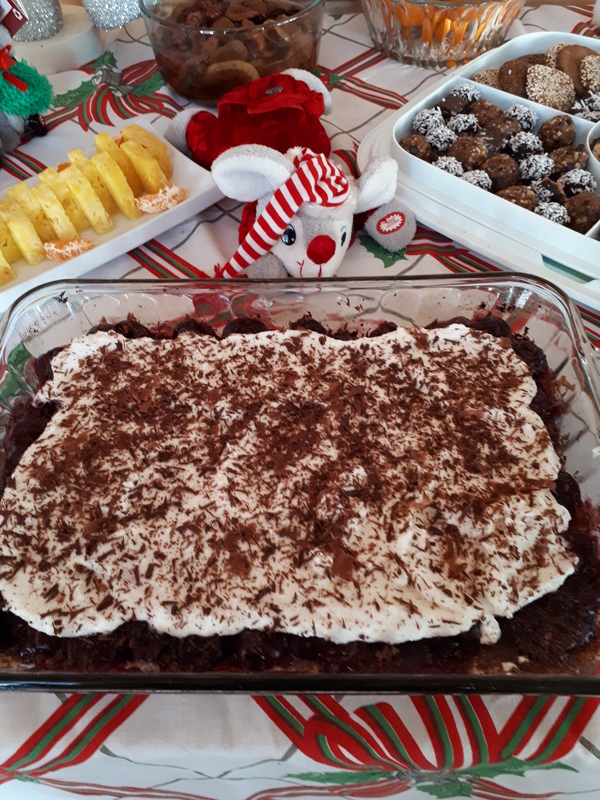 The Christmas season is a time for sweet treats. But why can’t your sweet tooth be satisfied with whole plant based food rather than loads of refined sugar, butter and white flour. I love to have a sweet snack but like to feel that it is providing more than empty calories. 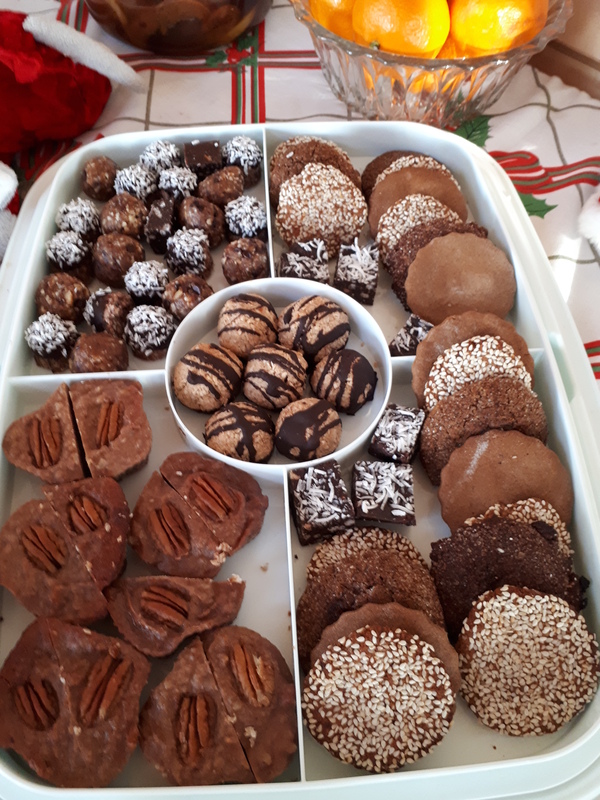 Below is the assortment of sweets I made this season. They are all delicious and nutritious and can be consumed without added guilt. As a bonus, all my Christmas baking this year was gluten free. Although I am not gluten sensitive, my sister and nephew are, and I wanted them to be able to enjoy it all. All these treats froze well, which is helpful for preparing in advance. This recipe is from Feasting on Fruit. The only modification I made was to add some oatmeal to the crust to reduce the amount of pecans used. They are not overly sweet and everyone seems to love them. Press firmly into a square pan (8×8″) lined with parchment paper. Set aside. Without washing the food processor, place medjool dates, milk, arrowroot, vanilla, and salt in a processor and process until smooth. Add 1 cup of the pecan halves and pulse them in. Spread the filling on the crust. Place the remaining 1/2 cup of pecans on top and press them in lightly. Bake for 35-40 minutes at 350F or until the pecans on top are golden brown. Remove from the oven. Cool. Then refrigerate overnight. Slice into squares and enjoy! Keep leftovers in an airtight container in the fridge for up to a week. Or you can make as tarts, as I did. I pressed the crust into the bottom of small silicone molds. Pour filling over the crust and decorate with 1 or 2 pecans, depending on the size of your mold. Bake at 350F for about 20 minutes or until the pecans are golden brown. Cool overnight then remove from the molds. 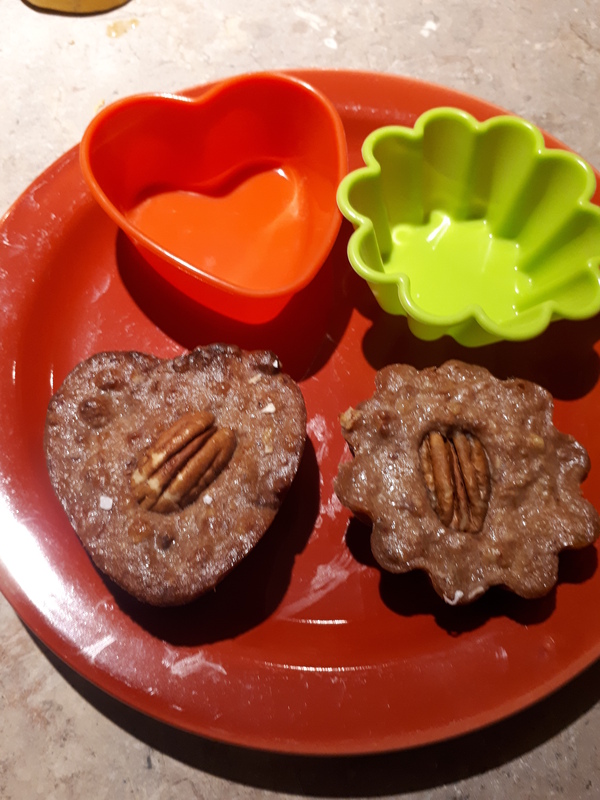 This recipe is from Monkey and Me Kitchen Adventures and makes about 20 small cookies. 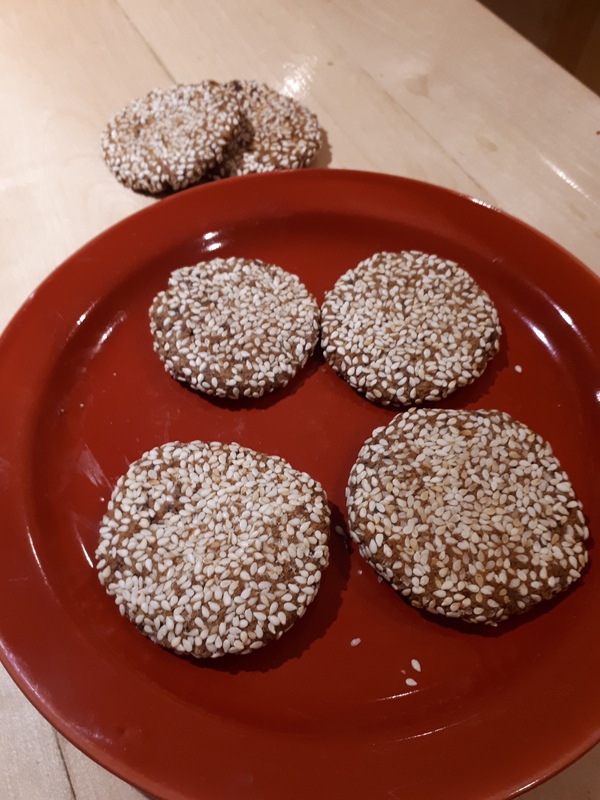 They are sweetened with dates and contain no oil, just a small amount of tahini. 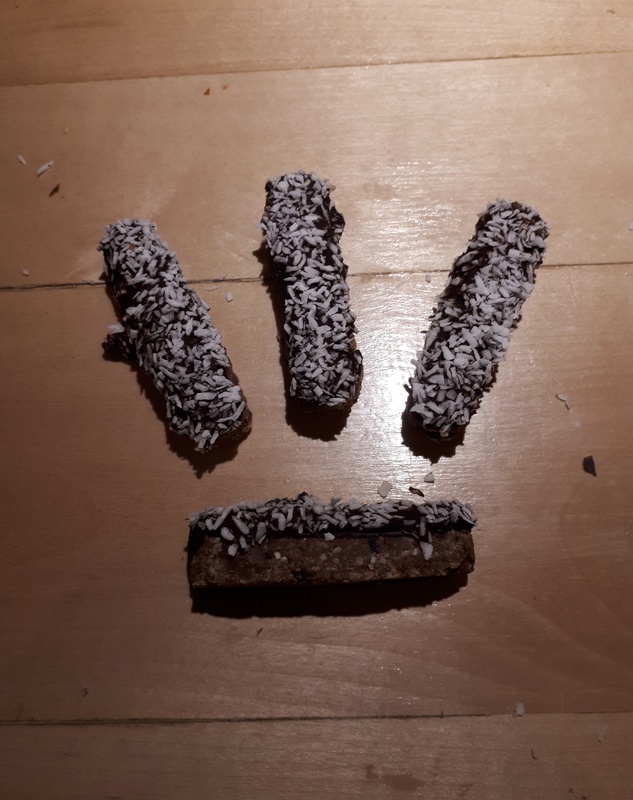 Roll them in sesame seeds for a unique look on your dessert platter. Preheat oven to 350F. Line baking sheet with parchment or silicone mat. Place tahini in a food processor and while running, drop the dates in through the feeding shoot one at a time. Process until dates are finely minced. Add all the other ingredients, except sesame seeds, and process until the mixture forms a ball. Scoop dough into 1 tbsp balls and roll tightly. Roll in sesame seeds. Place on cookie sheet and press flat with bottom of a glass. Bake for 8 minutes. Cool before removing from the baking sheet. From Engine 2 Cookbook by Rip Esselstyn and Jane Esselstyn. These are really delicious but a bit too sweet for my palate. When I made the second batch, I changed the 1/4 cup maple syrup to 1/8 cup maple syrup and 1/8 cup pumpkin puree. Preheat oven to 350F and line cookie sheet with parchment or silicone mat. This cookie recipe is also from Feasting on Fruit. They are sweetened with both molasses and coconut sugar. The only modification I made was to add some fresh grated ginger for a more intense ginger taste. Rather than rolling the cookie dough balls in cane sugar, I opted to press them flat with the bottom of a glass coated with sugar. (moisten the bottom of the glass first so the sugar sticks) These cookies are quite soft. Combine almond butter, apple sauce, coconut sugar, and molasses in a large bowl and beat until smooth. Add lemon juice, ginger, cinnamon, vanilla and salt and beat until combined. Add the baking soda. Mix coconut flour and tapioca starch together. Stir into wet mixture and stir until combined. The dough should be able to form into balls, if not add a tablespoon or 2 more of coconut flour (or you can drop them by spoonfuls onto your baking sheet rather than roll them). Press the balls flat with a sugar coated glass, if desired. Bake at 350 F for 12 minutes. Let cool on the baking tray before removing. This summer, we had three young folk from France staying with us, and Sandra made these for us. Speculoos is traditional for Christmas in Belgium (they lived on the border of France and Belgium). 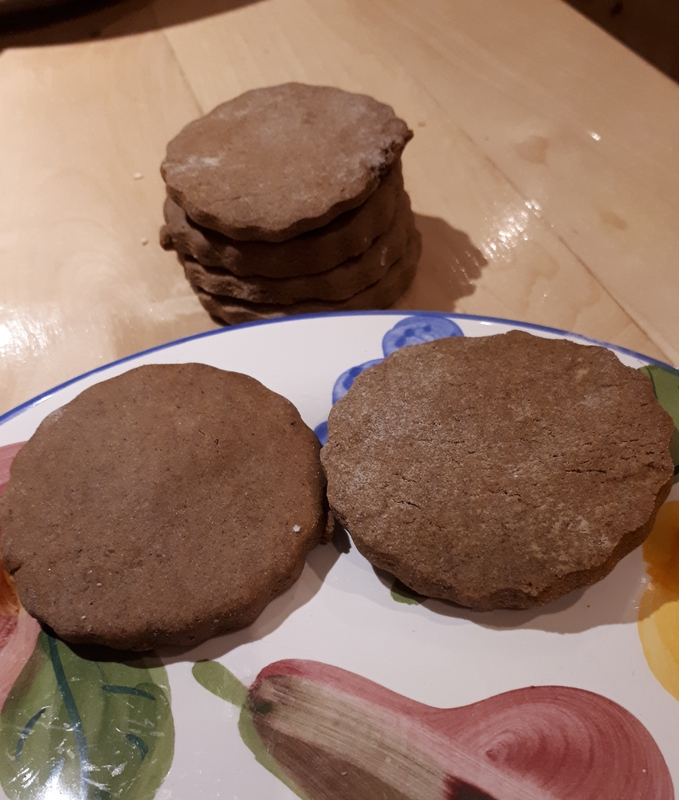 Traditionally, they are rolled out with an embossed rolling pin or speculoos molds, however, I just used a plain rolling pin. Plain but still delicious. These are generally sweetened with a dark brown sugar, but I used coconut sugar instead. They only other modification to the recipe I made was to substitute the olive oil with almond butter. This recipe is from My Gut Feeling. In a medium bowl mix flour, baking soda, salt and spices. Cream oil and sugar for 5 minutes or until light and fluffy. If necessary, use a fork to better incorporate the sticky sugar lumps. Beat in half the flour mixture and the milk. Add remaining flour and mix to make a light dough (approx. 10 minutes). Set aside in the fridge for 4 to 5 hours or overnight to allow the spices to permeate the dough and add extra flavor. Preheat the oven to 180ºC/350ªF and line a small baking sheet with parchment paper. Sprinkle the speculoos molds lightly with flour. Insert dough into the molds, press firmly and gently roll over using a rolling pin. Trim excess dough horizontally with a knife. Gently remove dough out of mold with fingertips and onto the baking sheet. This is a slow and delicate process but totally worth it. If you don’t have speculoos molds, simply spread the dough and cut it with cookie cutters. Bake each batch for 15-20 minutes, depending on the size of the mold you use, or until cookies start to brown. Let the cookies cool on the tray for 10 minutes before eating or storing in an airtight container. Note: that this is too much for a small food processor. Unless you have a 12 cup processor, process half the batch, then dump into a bowl and process other half. 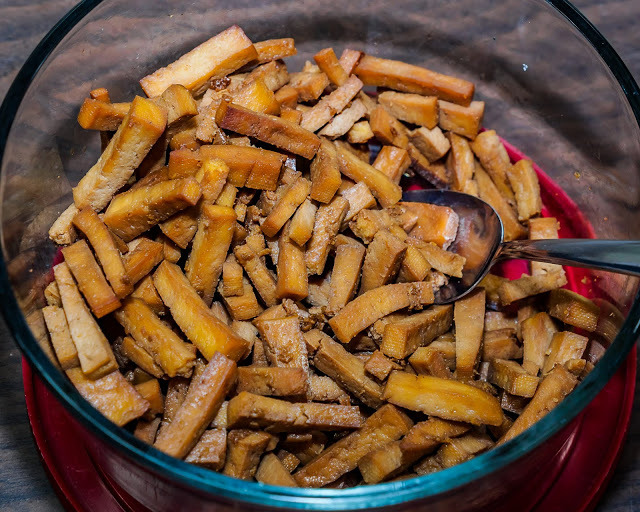 Add the crisps to the bowl with the complete mixture. If using almonds, place in food processor and process until small pieces. Place remaining nuts in with almond pieces and process until small pieces. Add the hemp hearts and salt. Add dates one at a time feeding through the shoot while the machine is running. Add cocoa powder and combine well. Add maple syrup and process until fully combined. Remove mixture to a large bowl and add rice crisps. Mix in by hand. 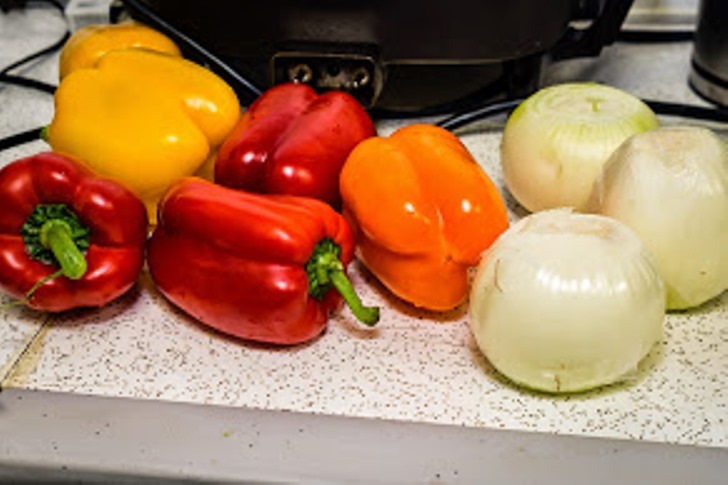 Press mixture into a 8×8 pan lined with parchment. Press in firmly. If desired, top with shredded coconut. Press coconut into brownie mixture. Chill for 1 hour, then cut into small pieces and store in freezer. These bars are coconut heaven. I use coconut butter (which you can make in your VitaMix using just plain unsweetened coconut just like you would peanut butter) to hold them together, rather than coconut oil. I found this recipe in a magazine (CookVegan Plant Power for the Planet, Early Summer 2016 edition )in the Glasgow airport while waiting for a flight home. I have since modified it to be whole food. Line a 7x4x3 inch loaf pan with parchment paper or use a silicone pan. Process dates in food processor along with vanilla, salt and cinnamon into a rough paste. Add chocolate, coconut, quinoa flakes, and cocao nibs. Process till fully blended. Melt coconut butter and brown rice syrup together and add to the food processor. Process until well combined. Mixture should stick together when pressed with your fingers. If necessary, remove from food processor and blend with your hands. Press the mixture into the prepared pan, pressing firmly. Smooth out the top. Freeze for 1 hour. Cut into bars. Melt the chocolate for the topping over boiling water in a double boiler. Place coconut in a separate dish. Once chocolate is melted, dip each bar lengthwise in the chocolate so the top half of the bar is coated in chocolate. Wipe off excess and dip in the coconut. Place on parchment paper coconut side up. Store in fridge or freezer. 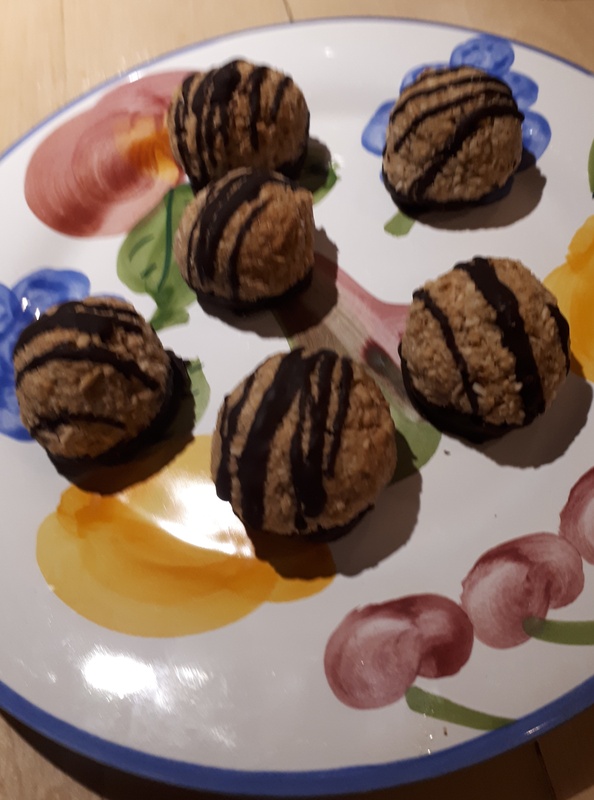 These are one of the energy balls I made for the Winnipeg VegFest. This recipe is from Angela Liddon’s Oh She Glows Everyday cookbook and is one of my favorite. They are super easy to make, look fantastic and taste even better. I use the VitaMix to make up a batch of coconut butter. Preheat oven to 275F. Line a baking sheet with parchment paper or a silicone mat. Place all ingredients, except dark chocolate, in a bowl and stir until thoroughly combined. Dough will be thick and sticky. Using a small retractable cookie scoop, or 1 tablespoon measuring spoon, scoop dough out and roll into a firm ball using wet hands to prevent sticking. Place on baking sheet, flattening the bottoms slightly so you have a small round mound. Bake for 15 minutes, then rotate the pan. Bake an additional 15 minutes, watching carefully to be sure they don’t burn. If necessary, bake longer until the mounds start turning golden brown. Remove and cool on baking sheet until cool before removing. Melt dark chocolate over hot water in a double boiler. When melted, dip the flat base of each macaroon in the chocolate. Place on parchment paper. With a spoon, drizzle remaining melted chocolate over the top of the macaroons. Cool until chocolate is hardened (can place in freezer to speed this up). This popular dessert consists of a date nut base, a cherry filling and a whipped coconut topping. You can make each part ahead of time and assemble the dessert the morning of your dinner to save time. You can also substitute other fruit, like blueberry or peaches, for the cherries. I used frozen pitted sweet cherries. You can find the recipe with the June 2016 cooking class recipes. Don’t forget your desserts don’t all have to be baked goodies. Plain fruit is a good alternative too. My dessert table included pineapple, mandarin oranges, fruit compote and roasted unsalted mixed nuts. I grew up in a Ukrainian family, following most of the old traditions. Ukrainians have lots of great traditional food, but the Christmas Eve supper has always been my very favorite holiday feast. And when I became vegetarian at age 20, Christmas Eve became the only holiday where I could eat the traditional meal, as the Christmas Eve supper is meatless and dairy free. How perfect, celebrating the birth of Christ without killing any of his companions from the stable. Ukrainian Christmas Eve can be celebrated on December 24 (Gregorian calendar) or January 6 (Julian calendar). 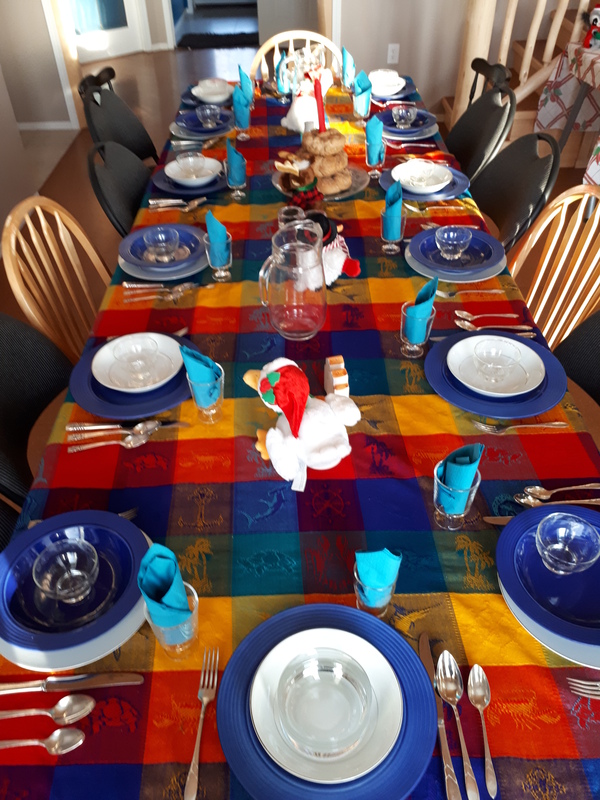 There are lots of traditions associated with the Christmas Eve supper but this is about the food. While the meal is “meatless”, it does include fish. More recently, more and more dairy is sneaking into the meal. 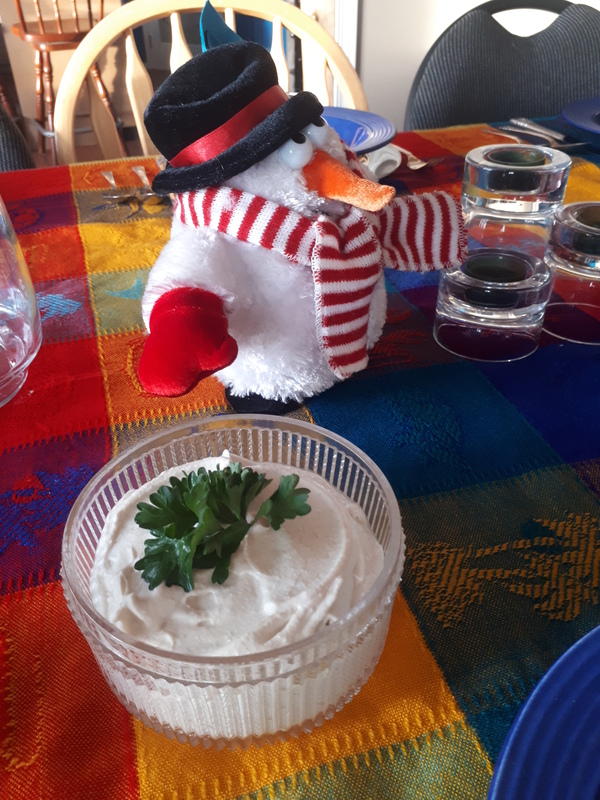 Now it is common to see the perogies served with sour cream and the borsch with cream. Never-the-less, it is a pretty easy meal to convert to vegan, and even to whole food plant based (ie, no processed products, no oil). When my maternal grandmother was alive, Christmas Eve was her domain. Later, my mother took over, and now it is mine. While it is a fair bit of work to put together all the dishes, much of it can be done ahead of time and it comes together pretty easy. I do it pretty much the traditional way, with a few tweaks – most notably the absence of fish and the addition of a salad. However, since I am always preparing the meal for non-vegans, someone usually brings a fish dish. 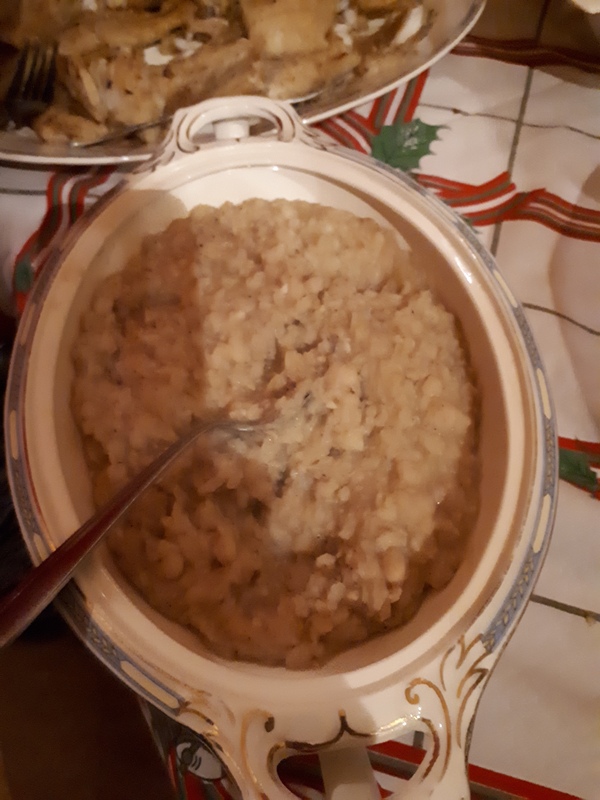 We only make Kutia at Christmas, and it has always been a favorite of mine. My grandmother’s recipe is below, along with my modifications. Traditionally, the meal begins at the sighting of the first star. A tradition my kids loved is the head of the household throwing a spoonful of kutia at the ceiling. The more kernals that stick, the more prosperous the coming year will be. This is not a tradition we do often. 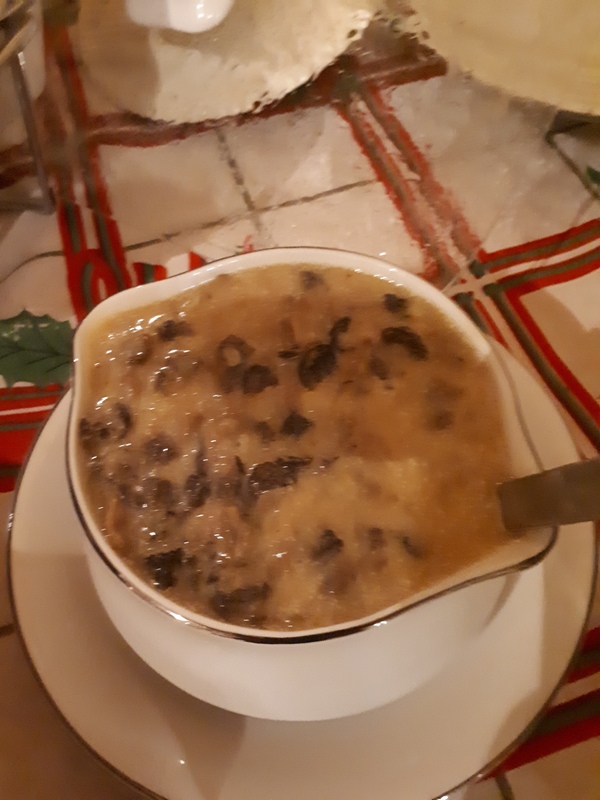 Beside, my version of kutia is more runny, not like a sticky porridge, so it doesn’t stick well to the ceiling. Many kutia recipes roast the wheat before soaking and cooking it. However, my grandmother never did, and so I don’t either. I omit the honey used for sweetener and instead use a combination of maple syrup, brown sugar or my own homemade vegan dandelion honey. Also, some serve it hot, some cold, some with nuts, some without. I have had kutia made several different ways, but this remains my favorite. Just plain sweetened wheat with poppy seeds, served cold. Wash wheat and place in a large pot with the water and salt. Bring to a boil and simmer for about 3 hours, or until the wheat is tender but not mushy. While the wheat is cooking, Grind the poppy seed in a coffee mill. Place ground poppy seed in a pot and add water to more than cover the seeds. Bring to a boil and simmer for 5 minutes. Strain through a fine mesh sieve. Discard the water and put the boiled ground seeds aside for later. When the wheat is cooked, drain off excess water leaving only enough to just cover the wheat. Add the sweetener. Start with 1/2 cup and add more if needed. (The original recipe calls for 1 1/2 cups in total (brown sugar and hone) which I find way too sweet. ) Simmer an additional 30 minutes, then cool. 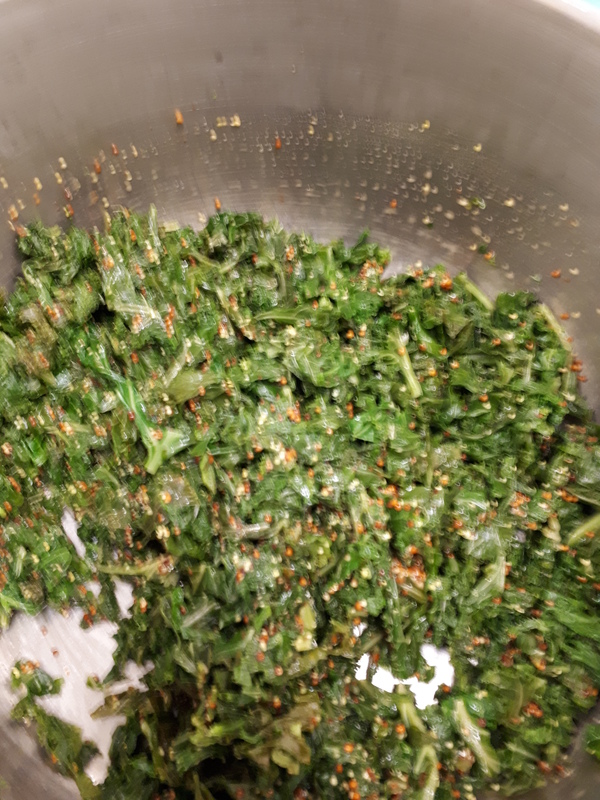 Once chilled, add the drained ground poppy seeds. Serve cold. 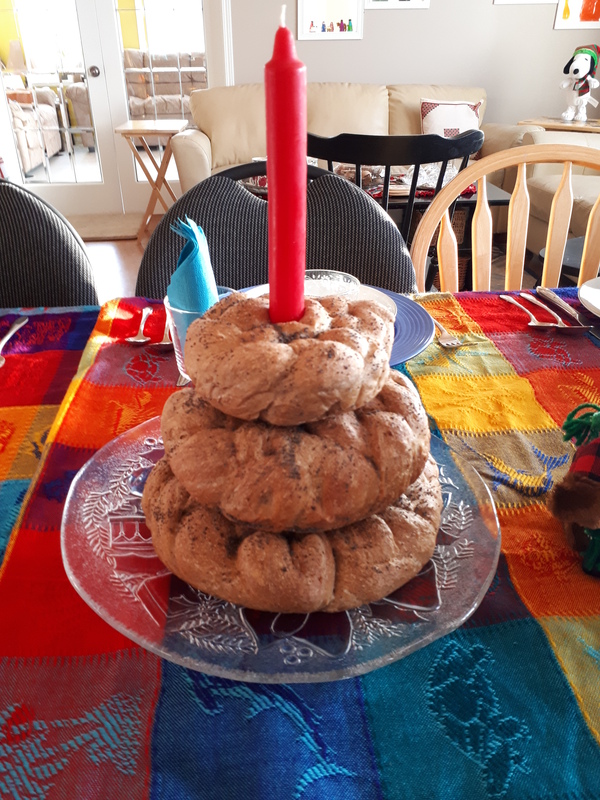 Traditionally the kolach is three rings braided rings of bread, stacked one on top of the other. It is placed in the center of the table with a candle in it and is not generally eaten until the following day. Most kolach recipes call for eggs, but I make mine from any whole grain bread recipe I like. Recently, I have been making whole grain artisan bread from Its Always Autumn. Its the easiest bread to make. You mix up the dough one day, let it sit 8 to 12 hours, then pan it, let it rise and bake it. Is similar to a sour dough, but without having to feed a starter. 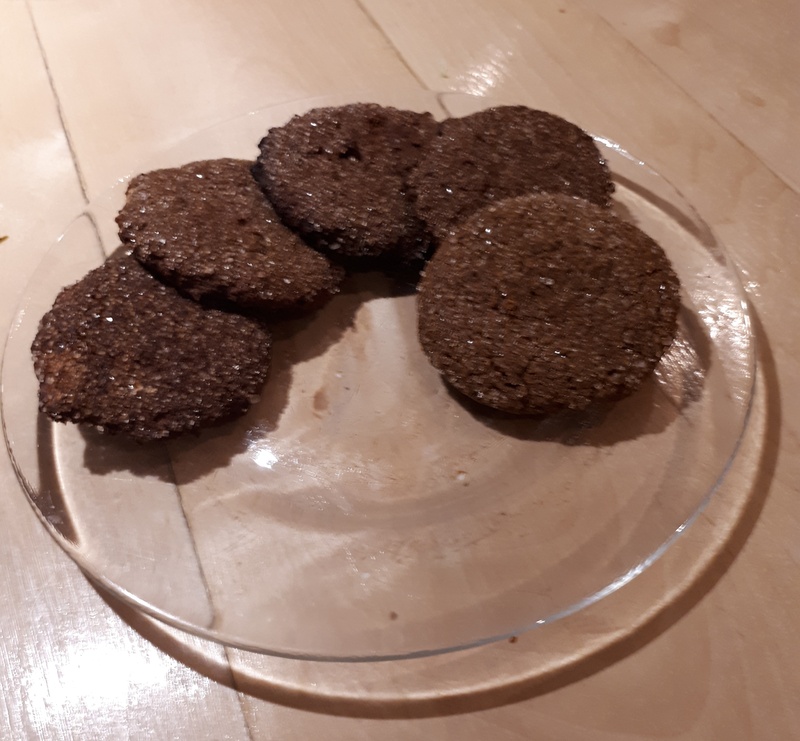 The original recipe uses only whole wheat flour, but I modify mine by replacing some of the whole wheat with oatmeal, rye, spelt, or ground flax. For Christmas Eve, I made a double batch and braided the dough into three rings. Borsch is a beet soup, and in my family, it was never made with meat or meat stock. 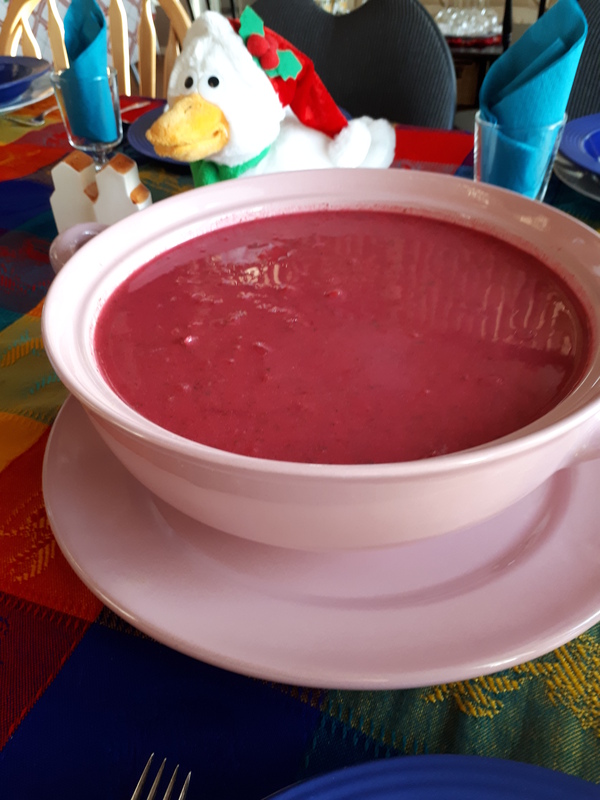 Since Christmas Eve was dairy free, the borsch was served as a rich red tomato based soup. Now I generally add cashew cream to the borsch. The recipe below makes enough to feed about 16 people, so you need a big stock pot to make, but you can half the recipe for a smaller batch. Grate your beets with the biggest grater size. Chop your carrots in a fine dice (or in the food processor, careful not too fine). I use a rough ratio of 3 to 1 beets to carrots (however much beets you have, use 1/3 the amount of carrots). Use red or banana potatoes as the white russets will fall apart and not keep their shape. In a large pot place carrots, beets, onions and garlic. Cover with water to about ½ inch above the level of the veggies. Bring to a boil and simmer about 20 minutes, until the veggies are tender. Add lemon juice or vinegar. Add potatoes and cook until almost tender, about 10 minutes. Add green beans and cook another 5 minutes, until all veggies are tender. Add tomato juice to taste. Place about 1 cup of the white beans in a blender and blend until smooth with added water or tomato juice. Add to the soup to thicken it. Add remaining white beans. Taste and adjust seasonings adding dill, salt, pepper, tomato (juice or paste) and vinegar until it is to your liking. If desire, add cashew cream sauce (recipe below)Add peas at the very end, just before removing from the stove. Soak cashews in water for at least 2 hours. Drain and place soaked cashews in a blender with , onion and garlic. Blend until smooth. Season with salt and pepper to your taste. 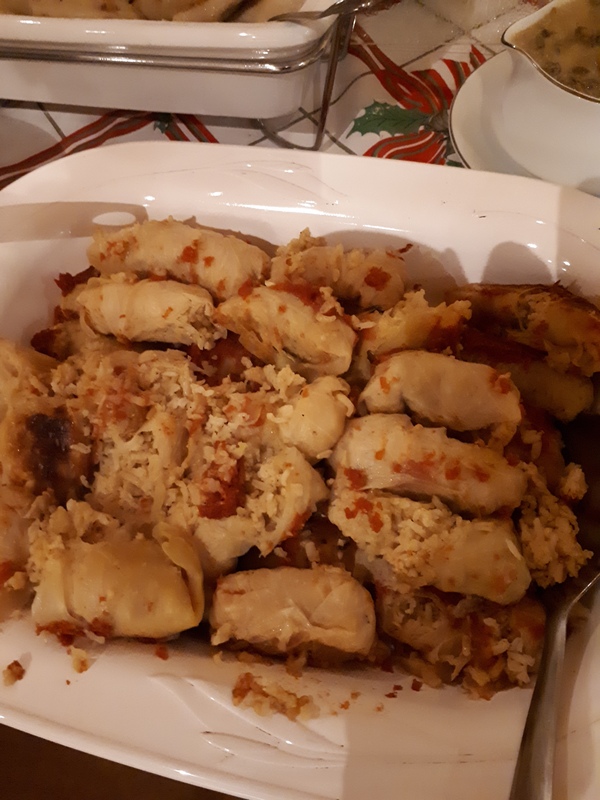 Holopsti, or Cabbage Rolls, are filled with rice or buckwheat for Christmas Eve. 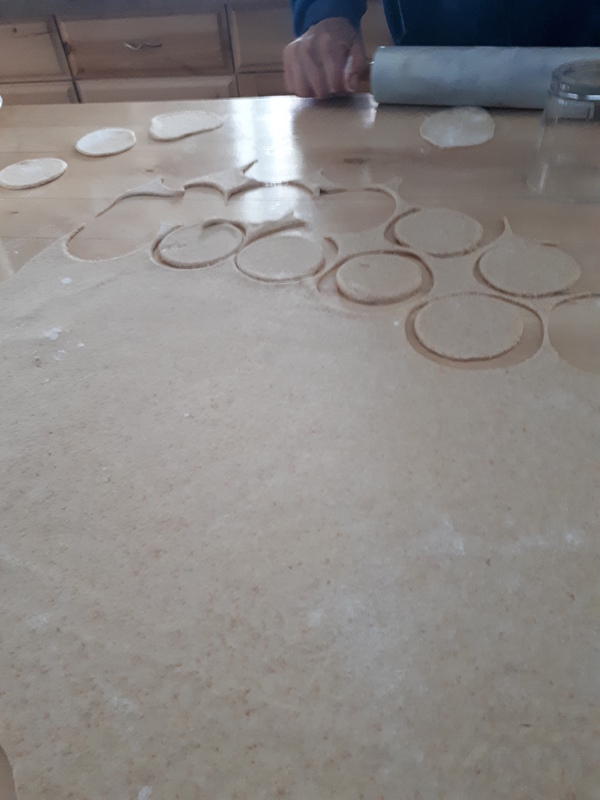 The trickiest part of making holubsti is getting the cabbage leaves soft enough to roll. I used cabbage I grew myself in the garden this summer. Its not as dense as commercially grown cabbage so easier to get the leaves off in one piece. Core your cabbage then place in a large pot of boiling water and as the cabbage boils and softens, remove the leaves from the head, one at a time. Be careful not to overcook the cabbage, Then remove the large vein on each leaf. The large outer leaves will be big enough to make at least 2 holubsti while the small inner leaves will make one holubsti. I prepared the leaves then froze them. Once you thaw them later to make cabbage rolls they are very pliant but still hold together well. I use a filling of brown basmati rice. Boil the rice until it is slightly undercooked. Season with onion sauted in broth, salt and pepper. Fill each leaf with the rice and roll tight. This link gives you a good idea of the technique. Place holubsti in a baking pan lined with parchment paper. Cover them with tomato juice (I season the tomato juice with a bit of garlic and onion powder first). Bake at 350 for about 2 hours, or until the cabbage is fork tender. As you can see from the picture of my holubsti above, they are a bit messy. I would recommend baking them in the same pan you plan to serve them in as mine got a bit mashed when moving them from the roaster to the serving dish. Perogies are everyone’s favorite Ukrainian food. Until just recently, I seldom indulged as the traditional dough contained oil plus they are served smothered in butter as well. However, the discovery of an oil free, whole grain perogie dough was a game changer for me. See my previous post on how to make this excellent perogie dough. 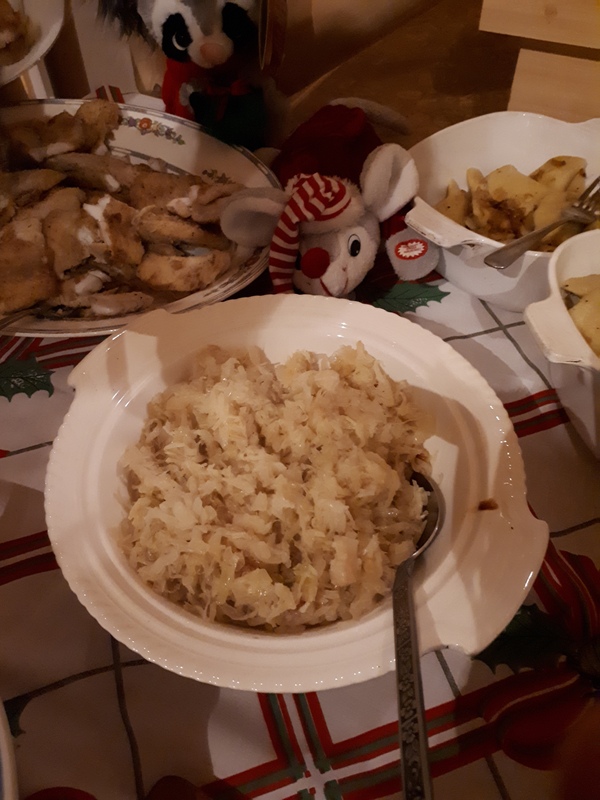 For Christmas Eve, I filled some perogies with potato filling (mashed potato, cashew cheese, onions sauteed in broth, salt and pepper) and some with sauerkraut (sauerkraut, onions sauteed in broth, small amount of mashed potatoes to help the filling hold together). To make the perogies oil free, once you boil them, serve immediately with gravy. Its pretty difficult to keep them from sticking together. 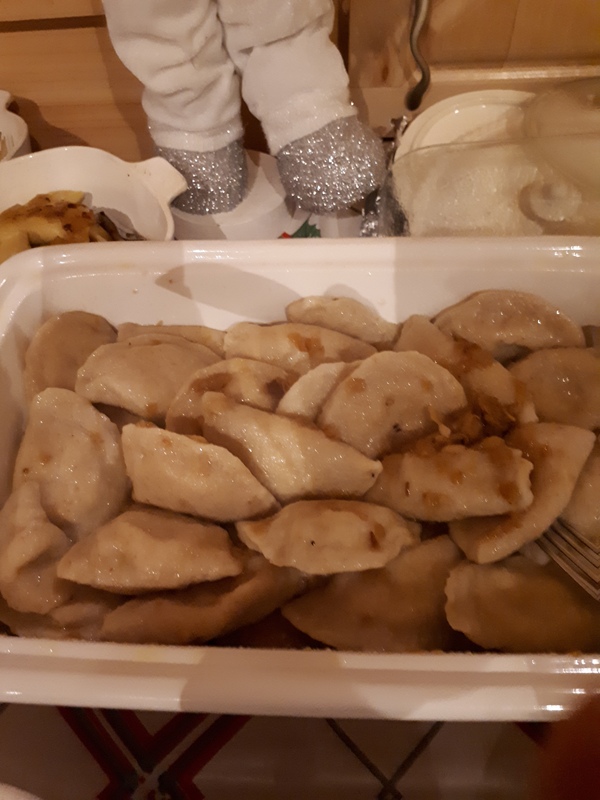 In order to do up enough to feed 14 people on Christmas Eve, I tossed the cooked perogies with onions that were sauteed in olive oil. Usually, perogies are served with sour cream. However, for Christmas Eve they are served with mushroom gravy as the meal is dairy free. But I also made a Cashew Sour Cream to go with them. I use the recipe from Angela Liddon’s Oh She Glows Everyday Cookbook. Drain the cashews and place in a blender along with the remaining ingredients. Blend until smooth, adding a bit more water if needed. The original recipe does not call for nutritional yeast, onion or garlic powder but I like to add it. Note: this sour cream freezes well. This is a dish my mother found in the Ukrainian Daughters’ Cookbook . Ever since she found this beans have been on our Christmas Eve menu. Its a fan favorite with everyone and, of course, I am super pleased to beans to the meal. Mash the beans with a potato masher or hand held blender. Saute onion and garlic in a pan, adding broth as needed to keep from sticking. When onion is translucent, add the garlic and onion powder and about 1/2 cup broth. Simmer until liquid reduces by half then add the mashed beans. Season with salt and pepper and serve hot. Saute onion, adding small amounts of broth to keep from sticking. Drain a jar of sauerkraut and add to the onions. Heat and serve. We pick pidpenky in the fall, par boil it and freeze it for Christmas. But in the absence of pidpenky, you could substitute another wild mushroom or sliced creminis from the store. If I am lucky enough to have frozen morals left from the spring picking, I use them but substitute a cashew cream (like used in the borsch above) instead of the gravy in the recipe below. This year I had both moral and pidpenky gravy. Saute onions and mushrooms using a bit of vegetable broth to keep from sticking. Once onion is translucent, add gravy. Heat and serve. Although not traditional, I think a big meal such as this one needs more veggies, so I always add a salad. 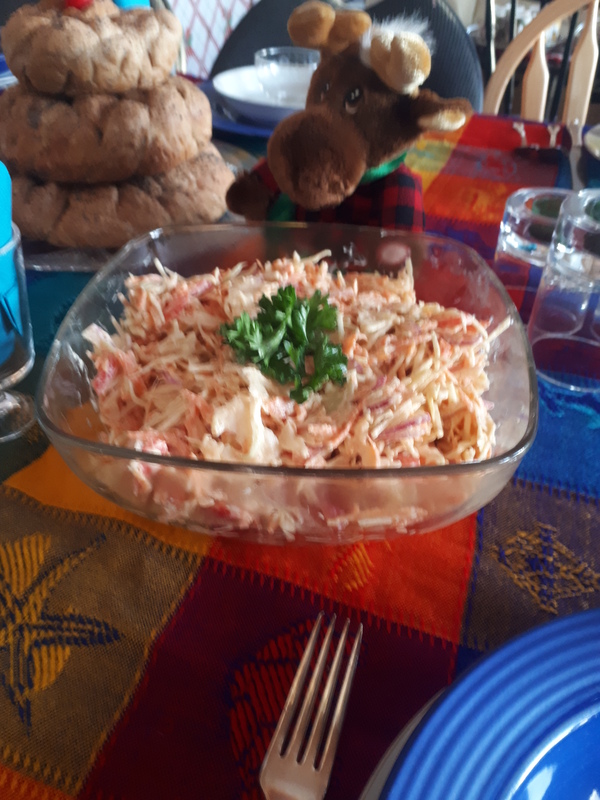 This year I did a cole slaw with green cabbage, carrots, red onion, apple and a creamy dressing. You can find my recipe here. 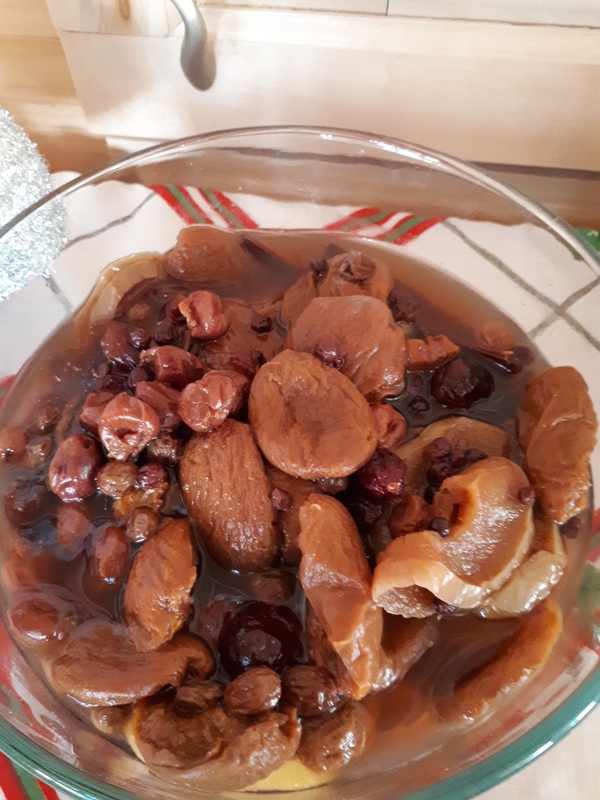 Compote is cooked dried fruit, and it is usually sweetened with honey or sugar. However, I never sweeten mine as it is sweet enough on its own. Sometimes I wonder why I continue to make compote for Christmas Eve. No one ever eats it. Everyone is content to sample the sweets instead. However, compote (along with leftover kutia) is my all time favorite breakfast for Christmas morning. 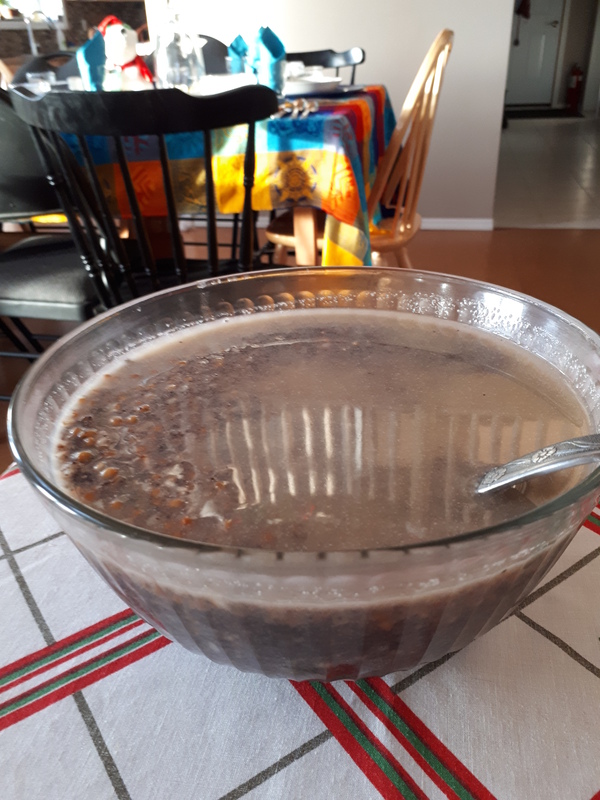 I always make a big bowl and put it out for dessert on Christmas Eve. No one eats it. I put it back in the fridge and then enjoy it in the morning. You can buy a mix of dried fruit, or just use what you like. This year I used what I had on hand – unsulfured apricots, cherries, raisins, and apple slices. Place in a saucepan along with some lemon slices, a couple sticks of cinnamon and a few whole cloves (I used 5). Cover with water and leave to soak overnight or at least 4 hours. Bring to a boil and simmer for 5 to 10 minutes, until the fruit is just tender. Chill and serve cold. 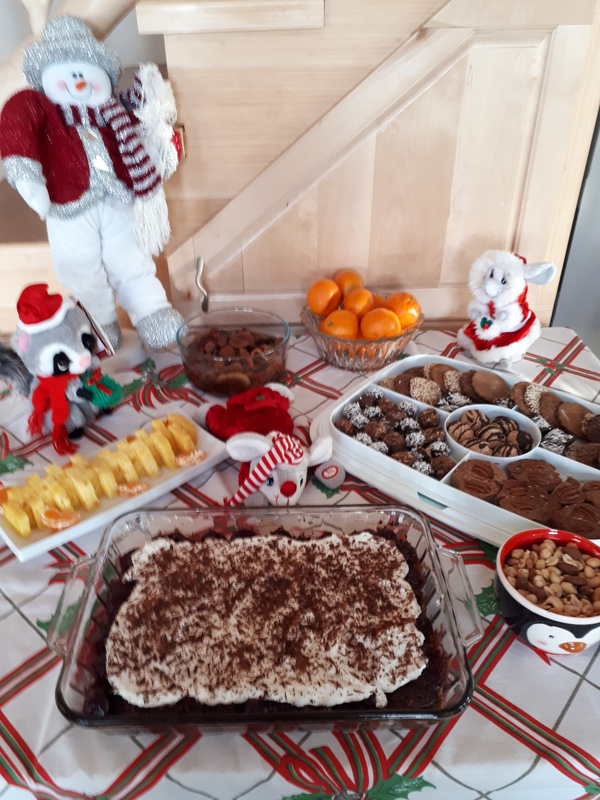 My dessert table consists of a bowl of compote, fresh fruit – this year that was pineapple and mandarin oranges, a bowl of mixed roasted unsalted nuts, and a tray of Christmas baking. See this post for the recipes I used this year. All whole food plant based, all delectable. The menu above is good for 12 to 20 people. We had 14 people this year and I was able to send care packages home with everyone. I think the best part of Christmas Eve supper is leftovers. No cooking for the next few days. Kutia and Compote for breakfast. Borsch and Kolach (topped with hummus or pesto) for lunch. 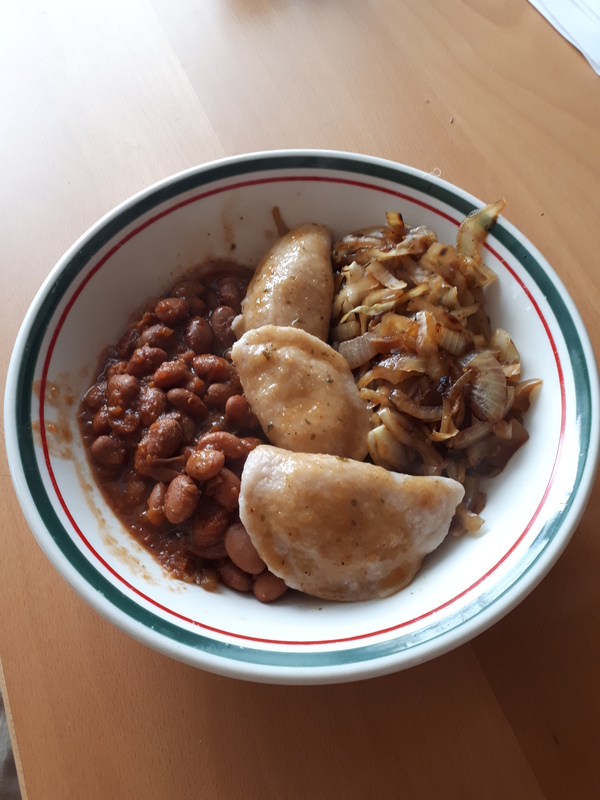 Holubsti, perogies, beans and salad for dinner. I hope you had a joyous Christmas and wishing you all the very best in 2019. 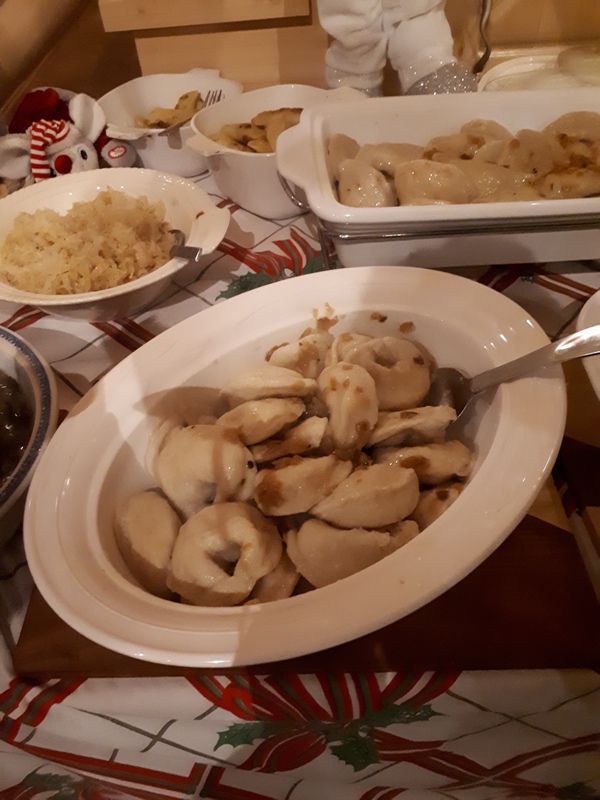 Christmas is just around the corner and one of the staples at our traditional Ukrainian Christmas Eve supper is perogies. Perogies are not hard to make vegan – just omit the cheese in the potato filling. However, they are full of butter, oil or margarine – in the dough, in the filling and in the toppings. 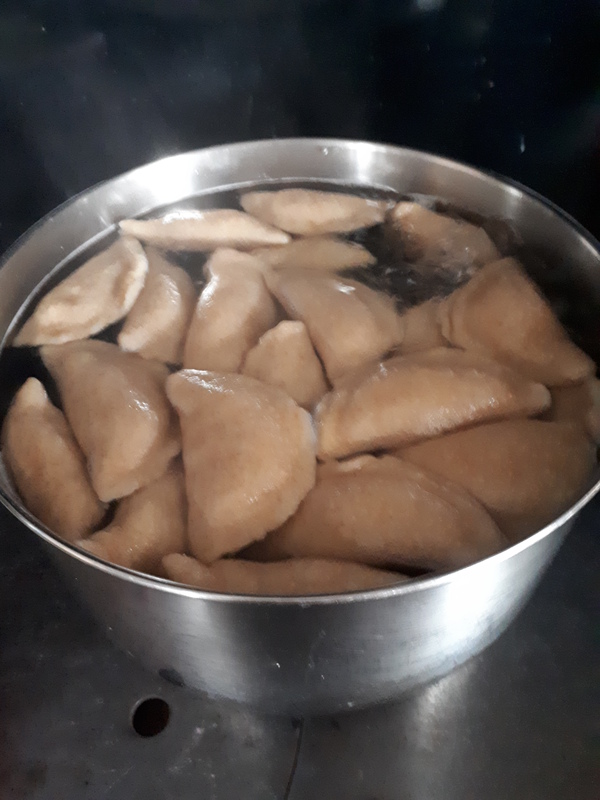 Since Christmas would not be Christmas without perogies, I have continued to make vegan ones with oil. 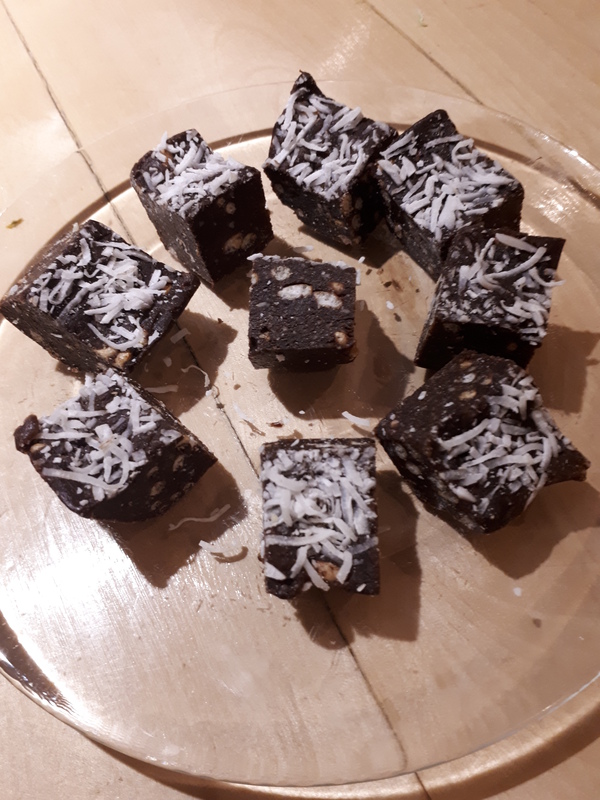 This year I decided to try making them oil free and was ecstatic to find a recipe. Now perogies don’t have to be an occasional treat, I can have them anytime. Maria, from Buenos Aires (Sigrilina Plant-Based Recipes and Zero Waste Ideas) has an excellent recipe using nut butter instead of oil. My traditional recipe is 4 cups white flour, 1/3 cup oil, 1/3 tsp salt, 2 cups water. Maria’s recipe is 4 cups flour, 1 tbsp nut butter, 1 tbsp salt (too much), 9.1 oz mashed potatoes, and 1 cup water. Other than reducing the salt and tweeking the method a bit, the recipe is fantastic. It makes a really nice dough. The method she uses is one I am not fond of, but I did use it this time. She mixes the flour and salt together in a bowl, then make a valley in the flour and add the water/nut butter and mashed potatoes. The problem was I did not have enough liquid to use the whole 4 cups of flour. I had to add more water and work it in. Perhaps my mashed potatoes where too dry. So I would definitely recommend mixing the water/nut butter and mashed potatoes with 3 cups of the flour and then kneading in more as needed to make a nice dough. I also used white whole wheat flour for the first time. I know, it sounds like an oxymoron – white whole wheat, but its real. Its flour made from white wheat instead of the more usual red wheat. I found it at Bulk Barn. I made my dough with 100% whole wheat (but used unbleached white flour for the rolling out) and it is definitely not white like all purpose flour but its not as dark as the regular whole wheat. I love the taste and texture but then I am not fond of the big blob of white flour dough. 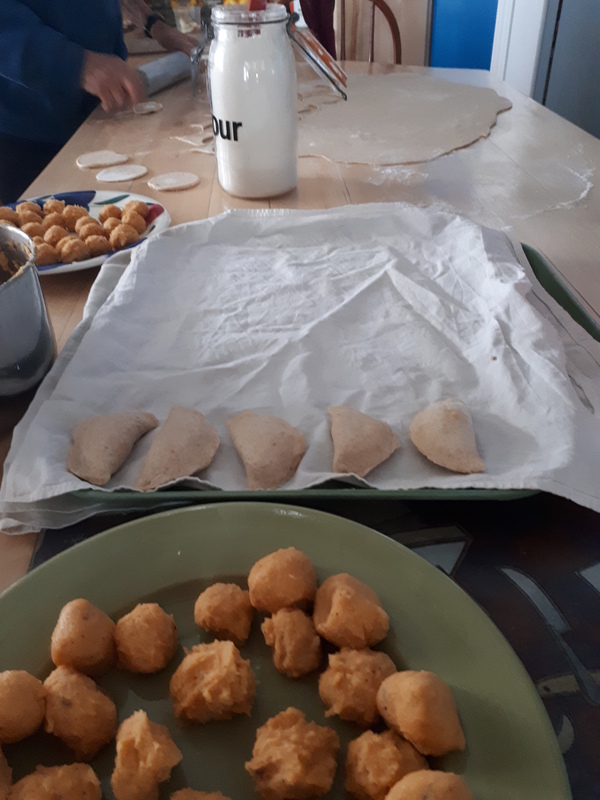 Maria filled her perogies with a sauerkraut mushroom filling that sounds so delicious I will definitely try it, but I filled mine with a potato, onion and cashew cheese filling instead. Traditionally, we serve the perogies with onions swimming in butter and then sour cream on top. 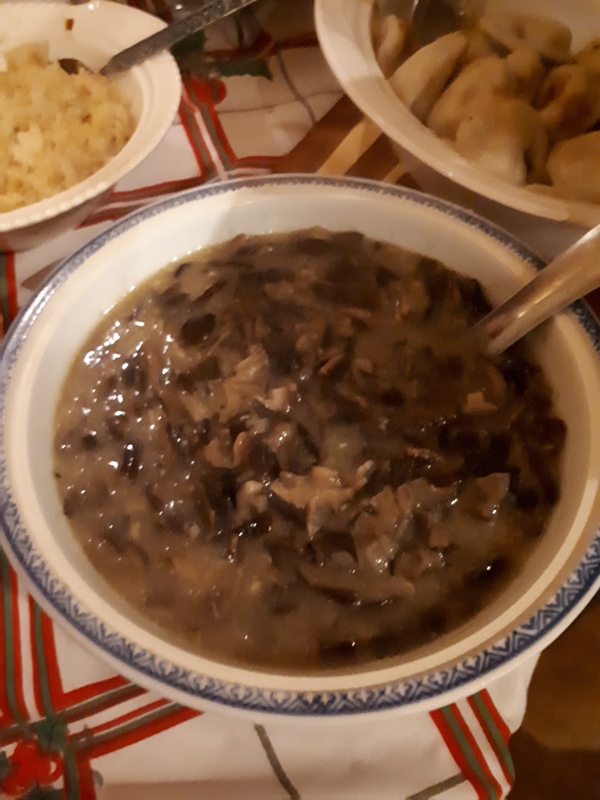 Since the traditional Ukrainian Christmas Eve supper is meat and dairy free, for Christmas Eve we serve the perogies with a mushroom gravy. I had mine today with leftover gravy I had in the fridge and it was great. I will definitely use gravy from now on. This recipe makes about 4 dozen perogies. Since making perogies can be a bit time consuming, make your filling the day before to save time. Also, its easier to work with a cold filling than a hot one. Mix 3 cups flour with the salt in a large bowl. Blend water and nut butter (or cashews) until you get a smooth cream. Add cream mixture along with potatoes to the flour and mix well. Knead to make a smooth, soft dough, adding more flour as needed. Knead dough for about 10 minutes then let rest for at least 30 minutes. Flour your table top and roll out to about 1/8 inch thick, sprinkling with flour to keep from sticking. Cut into 3 1/2 inch circles (we used a glass). Fill each circle with the filling of your choice and pinch to form half moon shapes. Perogies will sink to the bottom when added to the boiling water. In a large pot, bring water to a boil. Place perogies (about 1 dozen at a time, depending on the size of your pot) in the boiling water. The perogies will sink to the bottom. Perogies will rise to the surface when cooked. Let the water return to a boil and simmer until the perogies float to the top. 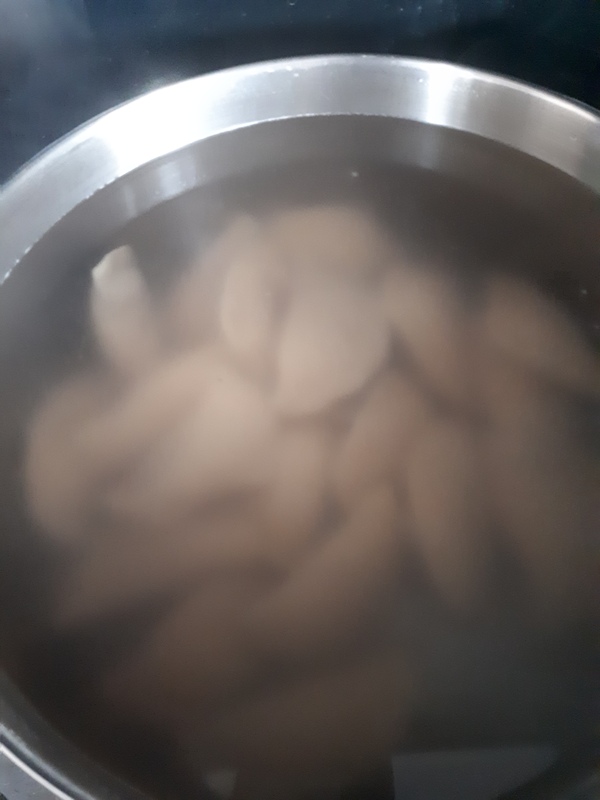 If you are going to freeze your perogies then reboil before serving, I would recommend taking them out when they float. If you are eating them right away, I would recommend letting them boil for about 1 minute longer. 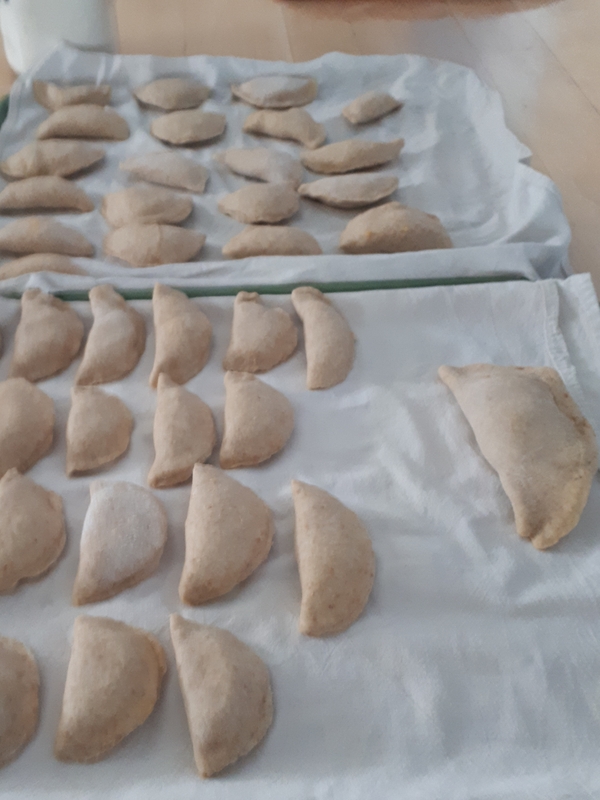 I find whole wheat perogies need to cook a bit longer than the regular white, all purpose flour ones. Serve immediately with vegan sour cream, onions sautéed in broth, or vegan gravy. Note that the perogies will stick together if not covered in butter, oil or margarine. After boiling and draining, I rinsed mine quickly with cold water and placed on a baking tray, so they don’t touch each other, until eating. So to make sure they stay hot, boil just before serving. If you wish to freeze the perogies, place them on a baking sheet to cool. Make sure they don’t touch each other or they will stick together. Freeze. Once frozen, remove from the baking sheet and store in a freezer bag or container. To serve, you can throw them frozen into a pot of boiling water and when they float, remove and serve. Or you can thaw them on a baking sheet first, then boil. I am doing a happy dance. Finally whole food plant based perogies. We had them for lunch topped with gravy and served with baked beans, cabbage and onions sautéed in broth, and a green salad. I hope you enjoy them too. Thanks ever so much Maria from Buenos Aires for the inspiration. Be sure to check out her blog, Sigrilina, for more great whole food plant based recipes, including empanadas. I’m on a roll today. Its -12 C outside, the sun is shining and I feel like cooking. I have 2 loaves of German Seed Bread rising, a pot of Baked Beans in the oven and my first trail of spicy vegan sausage ready to cook. And for lunch, I made a big pot of Chickpea and Cauliflower Curry, and a pot of wild and brown rice. The German Seed Bread is a recipe I started working on this fall, with our German guest Vanessa. Hopefully I will soon have the recipe perfected and can share with you. The Baked Pinto Beans are the one’s I did for the September Cooking Class and you can find the recipe here. I like to make up a big pot of baked beans and freeze them in 2 cup containers. Then I always have beans on hand to add to any meal. The Spicy Vegan Sausage is the first trail and looks good so far. I plan to debut it tomorrow morning for breakfast, along with the leftover baked potatoes from yesterday, made into hash browns. I hope to get the sausage recipe perfected soon, and once I do I promise to post the recipe. Now for the curry. 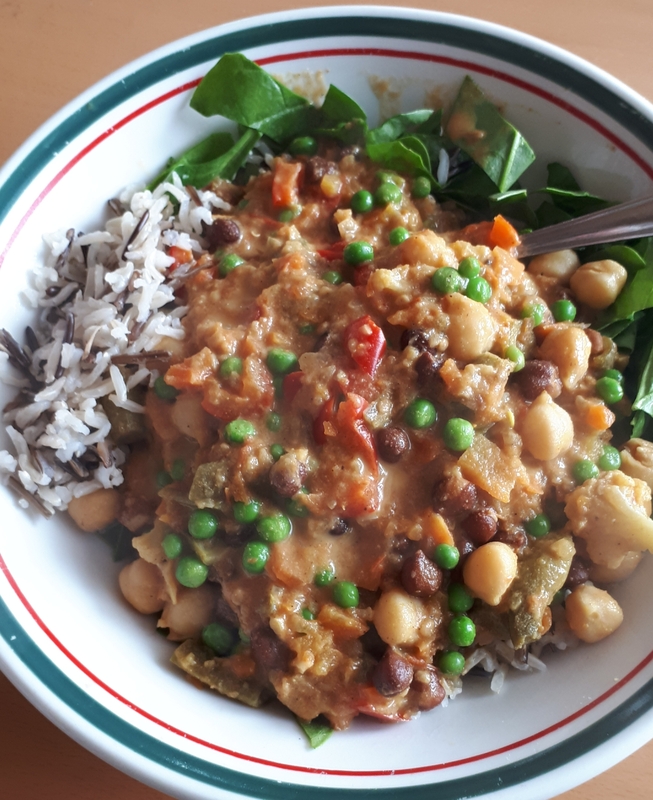 I have made many different chickpea curries over the years. You can find one of my other recipes here. But I am always open to trying a new recipe. 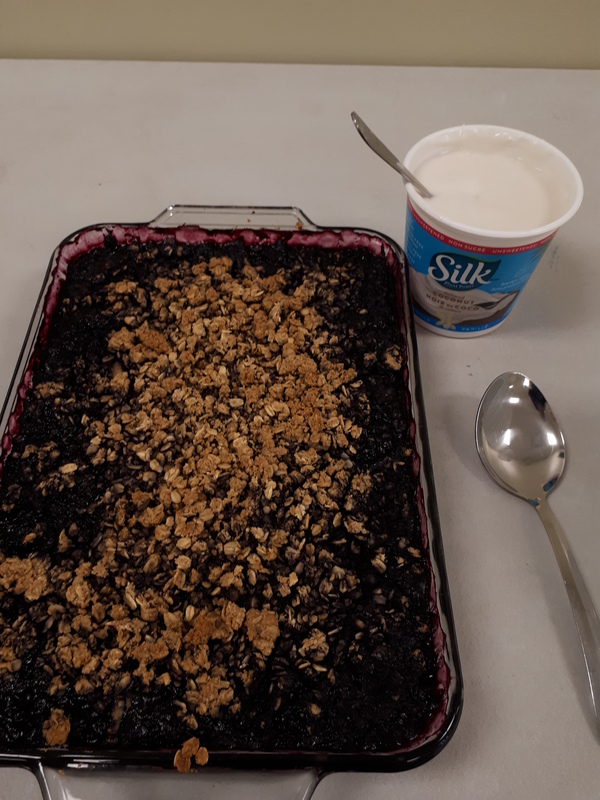 This one is an adaptation of the one found in Dr. Michael Greger’s How Not To Die Cookbook. I added a bit more veggies and subbed the almond milk for coconut milk, which is my preference in a curry. However, if you are looking for a lower fat curry, feel free to use almond milk. (Dr. Greger uses 1 cup water and 1 tbsp raw almond butter to make a quick whole food almond milk without any additives. ) My curry powder (recipe here) is pretty mild, so even with a jalapeño in the recipe it is pretty mild. Taste your curry at the end and add a bit of cayenne to spice it up if desired. I used 1/4 tsp hot Indian chili powder. I find cooking Indian food without oil a bit of a challenge, as the oil is used to temper the spices. I have been experimenting with using coconut milk with the spices as a whole food form of fat to bring out the flavor of the spices. In this recipe, I added part of the coconut milk with the spices and the rest at the end. You can serve your curry with rice (I made a mixture of wild and brown basmati) or naan (find my favorite recipe here) . As I also wanted to get in a serving of greens, I served the curry over chopped raw spinach with rice on the side. The hot curry wilts the spinach just enough. The carrots, red pepper and green peas make for a very colorful plate. This recipe makes enough for 6 large servings, so we will have enough for 2 more meals. And you get beans, greens, cruciferous veggies, other veggies, spice and whole grains with each serving. Can’t beat that! In a large pot, bring broth to a boil and add onion and garlic. Simmer about 3 minutes until onion is tender. Add ¼ cup of the coconut milk, the jalapeño and the curry powder and stir well. If the mixture become too thick, add a ¼ cup more broth, or as needed. Add cauliflower, carrots, red pepper and tomatoes. Return to a boil, then reduce heat and bring to a low simmer for 20 minutes or until veggies are tender. Add green beans, remaining coconut milk, nutritional yeast, smoked paprika and chickpeas. Simmer 5 to 10 minutes. Taste and adjust seasonings – add salt, pepper, or a pinch of hot chilli or cayenne. Before serving, stir in green peas. Serve on a bed of spinach with a side of rice.